spyrosv89 wrote: I have this problem with the lights (bug I believe) in the A320 CFM version . You need to delete something in the [LIGHTS] section of the aircraft.cfg file, but I don't remember exactly what. Please send the few lines from the aircraft.cfg [LIGHTS] section. That's exactly what I have just checked. When I close with X the FD-FMC window, I have to press twice the master button. But if I use master button to close the window, I can open it with the next click again. But I think it's a minor issue and there is no problem to leave the correction for a later time. wulfbindewald wrote: Please send the few lines from the aircraft.cfg [LIGHTS] section. I think François would be better to solve that issue. The shown Lights block above seems to be an old project airbus aircraft.cfg from A320 IAE, not A320 CFM and not a modified one for the FDD panel purposes. May I propose that you recheck all your folder entries with the latest Panel release "A320FD-FMC 1.12 CFM&IAE". Here you will find besides the updated panel folders the current aircraft.cfg files for each engine version too e.g. CFM-version: Aircraft.cfg dated 20.12.2015. About delay when you press the Master Caution PB to open FMC window, this is since I added the code to close the window. Better work if you press slowly on the PB. it seems that you not use the LIGHTS section of my aircraft.cfg or maybe you not use the aircraft.cfg provided with my pack. You should use my aircraft.cfg, because it has special setting according FMC. You have 2 wing lights because you have in your LIGHT section 2 lines about, with Navred light and navgre wing lights. You must delete these 2 lines, because CFM version has wing light hard coded in the Model, so additional lights are not required. I will come back at home thursday. Hi is it possible turn off alarm (or make it not looped) when pitot is iced? It's pretty annoying as i need wait minutes untill it got deiced. For instance, LowFuel warning rings only few times even if i don't turn on Xfeed valve. Yes, I will add a alarm cancel system, because it seems that when pitot is iced, FSX takes few minutes to deice, and alarm sounds until ptit is totally deiced. Panel V12.1 for the A318+320´s: The "seat belt" switch on the overhead panel is moving quite slowly in comparison to all other switches. I did not notice this behaviour in former panel releases. Is this intended? wulfbindewald wrote: Panel V12.1 for the A318+320´s: The "seat belt" switch on the overhead panel is moving quite slowly in comparison to all other switches. It has always been that way, hasn't it? It seems that's the way it is coded in the model. fdd_fr wrote: Yes, I will add a alarm cancel system, because it seems that when pitot is iced, FSX takes few minutes to deice, and alarm sounds until ptit is totally deiced. Seems like something you would want to know. This is a VC mdl file bug. No change possible. If you somebody has other request about bug fix or panel change, please tell me quickly, because I am preparing panel update (1.14) for A318/A320, because I want work now on A321 adaptation. Next airport update : Saturday. You want A321 version long range with 3 center tanks or standard version ? fdd_fr wrote: You want A321 version long range with 3 center tanks or standard version ? This update include the Pitot sound alarm disactivation by press on the master warning pb. S and F speeds are not mandatory speeds ! Symbol show you only the minimum speed to retract, but you have to retract later. It is forbidden to retract below these symbols. This is only a security information. I retract flaps at 185/190 kts and slats at 210. KMSP is the most complex airport that I have realized ! more than 140 approaches !! I need some feedback. A french user has an issue with a multi-displays use (3 displays), with FSX-SE. When he want open 2D overhead, his computer crashes. If somebody has already used the A318/A320 FD-FMC with more than 2 displays, can you give me some feedback ? Last edited by fdd_fr on 04 Jan 2016, 14:53, edited 2 times in total. SKRG is also under construction. There is a small issue in KMSP approach files (from 5 IAF) . Approach Rwy 12L ILS has a wrong altitude constraint value at waypoint SHUUT. You can land but aircraft climb of 1000 ft on an initial approach segment). Airport will be fixed at the next airport database. - I am testing a new position of the VC to be at the right location. If someone want test, I can upload the VC MDL file edited, if you have Project Airbus A321 on your computer. I am testing with AI traffic my own AFCAD of KMSP, which fix all missing and wrong features of the FSX stock airport. ADE (Airport Design Editor) is a fantastic sowtware with many possibilities ! Incredible. Fix missing runways and LOC, wrong ILS , I assigned Airlines to their right terminals and gates: this is a big hub for Delta and Northwest airlines, added missing buildings, Aprons, Cargo parking (UPS),taxiways, statics MIL aircraft in Military Area. After, I will work on KRNO Reno. I am testing the FMC procvedure files to KRNO. I solved the bug (second click to open FMC window when it has been closed by the FMC cross button). Will join to next update. fdd_fr wrote: I solved the bug (second click to open FMC window when it has been closed by the FMC cross button). Was meant only as info from me to you. Nice when it's fixed. You have now begun with airport design also? Just when I have to update an airport to add an ILS or other navigation feature. It is just a test..but it is very pleasant to do. Announcement: before I finish the SIDs, STARs and approaches for SKRG, I will update SKBO. In February, an amendment will be released and I want to update the airport. New RNAV and RVFP approaches will be added for SKBO and some SIDs and STARs will have a name change. Francois, I know this is not related to the FD-FMC itself, but I'd like to know if you could help me. I'm trying to merge a 767 FSX model with a 757 VC. The problem is that the VC is located too far back. How can I correct this? I think you know because I suppose you had to correct the VC position for the A318, didn't you? YOu can do it with "Model Converter X", a freeware that you can find on FSdeveloper website. Do a backup of your original VC file. MOdel Converter X allow to open and edit MDL files. 2 - Change value in the small window (default is 1.0000; here I set to 1.25000) : you will have to do several test, because, you haven't any reference. Begin with 1.10 or 1.15. Then click on "Scale": Value must be upper than origin; YOu can only move forward the VC. When you only move forward the VC and it will move also in altitude (upper) because you cannot move only in one axe without change VC aspect ratio. You cannot move backward (value minus than 1.000) because mouse area will not work after compilation. Export (compile) the MDL file . 3 -Copy in your Aircraft model folder. 4 - Load a flight with the aircraft park at a gate and extend the jetway to the aircraft door. Look at the position of the jetway from inside the VC and compare with an external view. If not ok, start agin from 1. USe always a copy of the original MDL file as base work file (do not change on the modified file). I did the job with the A321 and found the right position after 4 tests. Note : between 2 tests, you have to quit and load FSX to avoid that it keep in cache memory the old VC position. Edit : fix my bad english language ! Last edited by fdd_fr on 13 Jan 2016, 14:06, edited 1 time in total. I have corrected my my bad english ! I'm getting an error when exporting. Last edited by fdd_fr on 13 Jan 2016, 14:36, edited 1 time in total. Last edited by fdd_fr on 13 Jan 2016, 14:35, edited 1 time in total. Send me you MDL file by mail and I will try to do the job when I will at home tomorrow. I have the SDK installed. I don't have time to send you the files today; I'll be busy all day long. Tomorrow I'll fix the FSX and SDK paths and try to do it again. If I can't, I'll send you the files. Please, note that from now, you can see sometimes when you display SID or STAR index, symbol "*" or "**". That means that you have to read special information about this porcedure in the airport info file, that you can display in the FMC (departure or arrival page -> read more information"). Last edited by fdd_fr on 17 Jan 2016, 09:08, edited 1 time in total. If you have downloaded KMRY, before this message, please donwload it again, because I did an error yesterday. Now, right files are online. - This beta requires that you have already A320FD-FMC installed, because no modules provided in the pack and aircraft sound use the A320 CFM sound folder with an Alias. - fixed a dozen of XML syntax error in the gauges set (thank you to Francesco Bragagnolo who provided to me the LOG error file from P3D, that give a report about panel errors. These syntax errors was minors, but might occurs FPS hit and memmory occupency. - Add security in managed descent mode to limit pitch variation. What is expected with this beta ? Thank for feedback and opinion. - Aircraft attitude maybe no perfect when level of : Maybe too much nose up.....same thing at cruise level and speed . A view comparison between A320_IAE and the current A321_CFM VC location shows, that the A321 VC can be vertically reduced by ~1.1 ft taking into account the A320 as reference (Real A320 and A321 vertical geometrical dimensions are identical). Hi thanks! I don't have time to test it deeply. But theese were my first impressions. I perfectly know it's a Beta version, so it's just to write down some notes for your attention. - i like the new steering on ground, it's very realistic and i hope it could be implemented in a318 and a320 as well. 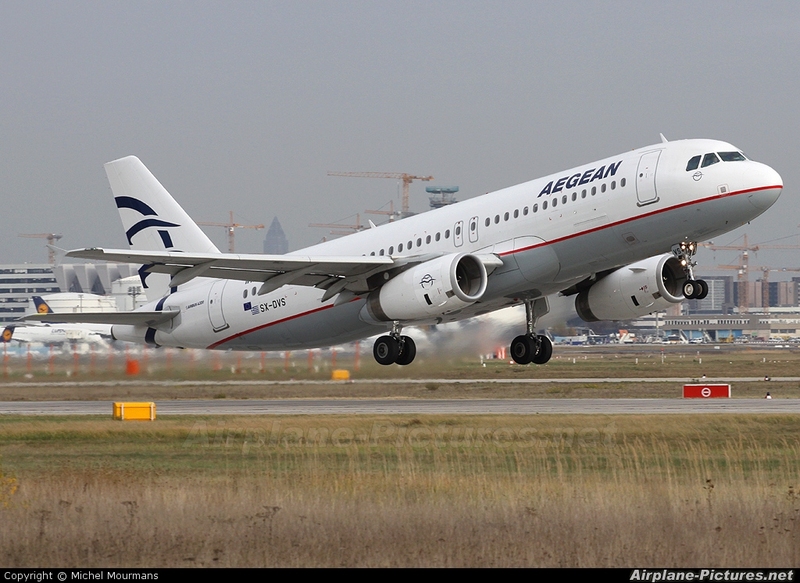 - I like the general fly behaviour, fly-by-wire seems more responsive and accurate in respect to A320 and A318. - My VC point of view is behind the cockpit and i can only see the accessing door! - On Ecam memo I read a sentence in green " (A:general"
- red alert "Pitot check" when temperature goes below zero seems not pop up in memo. Here my first test (*). At FL350 cruise, N1 reading was around 70.9 and FCOM says N1 maximum shoudn't be over 82-84. So i guess it could be fine. 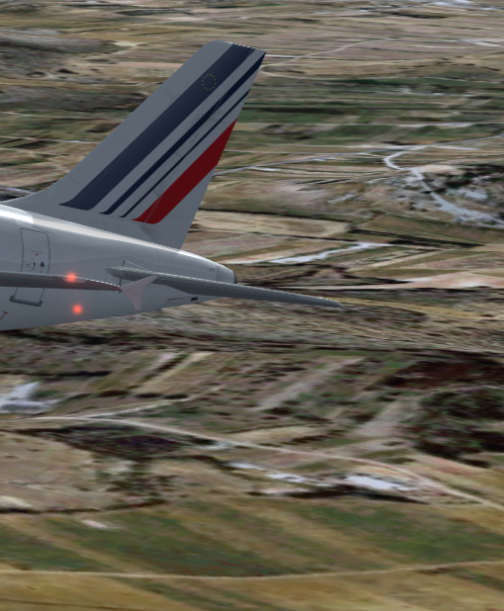 (*) for this test i used FSX "clear sky" weather, so standard conditions as pressure 1013, 15°C, no wind. Thanks Wulf, i will apply it!